2 chillies or a teaspoon of chilli powder - reduce or increase to taste, can use red, green or jalapeño chillies. Serves 9 portions, ingredients can be increased as necessary. 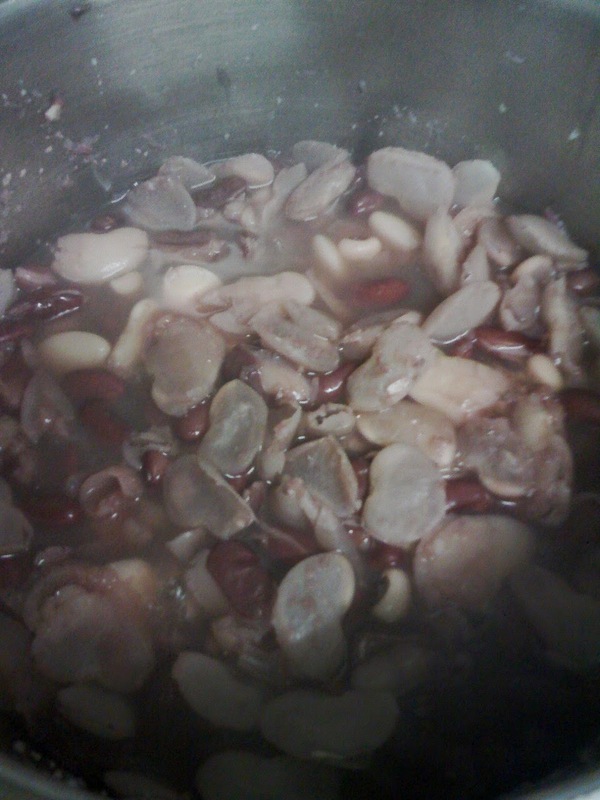 Important: Dried beans must be soaked in cold water overnight and then the water changed before boiling for 45 minutes. Wash hands thoroughly after handling chillies or wear clean plastic gloves. 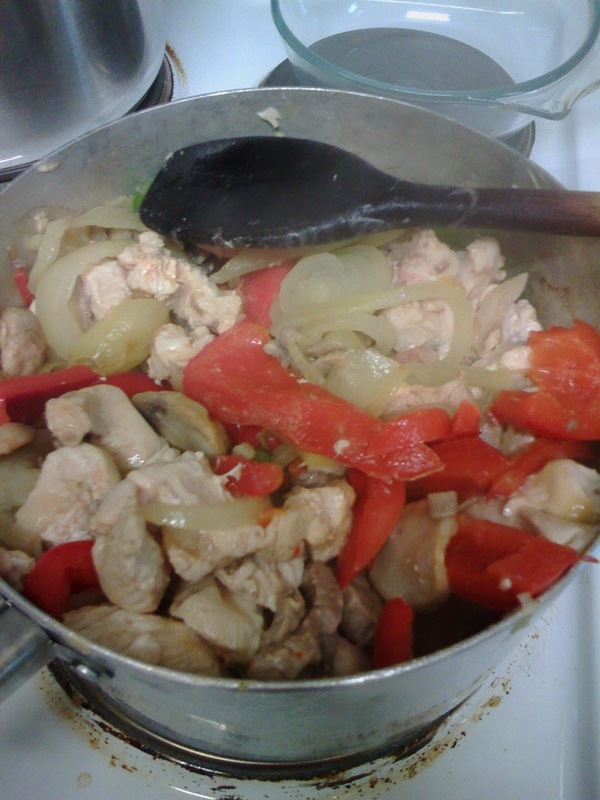 While the beans are cooking, wash and slice up the peeled onions, mushrooms and de-seeded peppers and peeled garlic. Core and slice the chillies if using. Place these in a large saucepan with some vegetable oil and start frying up, stirring occasionally. Whilst frying the vegetables, slice up the steak and the chicken into strips and the put in the pan with the vegetables. Cook until the meat is cooked right through, this is usually 10-15 minutes to be sure, it won't harm if kept stirred and turned over and prevented from sticking with oil. Add the tomatoes and chilli powder if using. Warm through. Warm or microwave the tacos or tortillas. 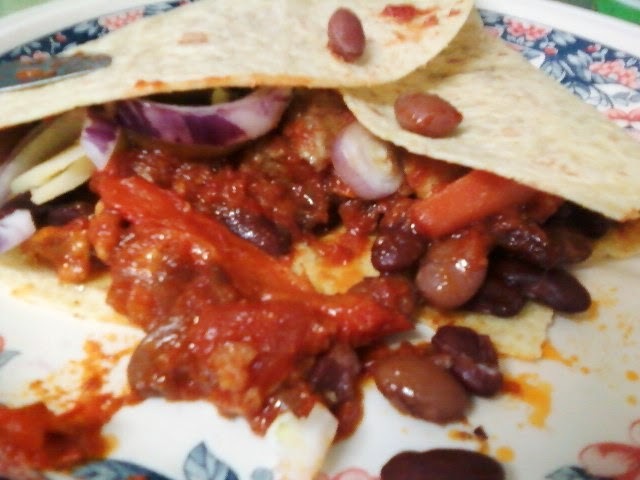 When ready, serve beans and other ingredients inside tortillas/tacos.